GOOD NEWS for all farms and agricultural lands owners Save your money when owning FARM LIFE Device (FARM LIFE). With FARM LIFE device you will save effort, money, time, get the real results of 100% and get rid of all traditional commercial devices. Now for the first time, with pride and strength we want to say to our customers you can test the device before you purchase, and any way you want. After a lot of tests, researches, journeys of discovery for groundwater in all countries of Middle East, Asia, North Africa and Europe by experts and engineers specializing in water detection. It has been issued the new German FARM LIFE device by geophysical detection system. 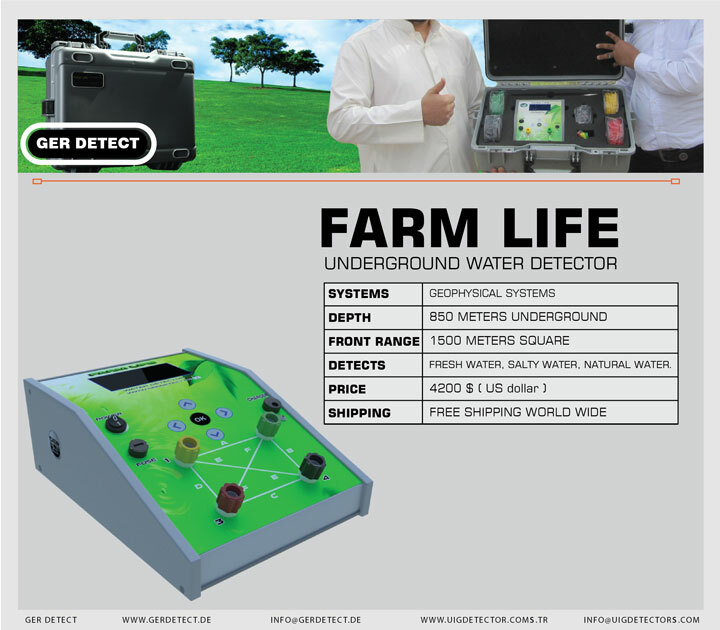 FARM LIFE device is a product specialist in exploration and detection of groundwater and artesian wells. FARM LIFE device works automatically integrated geological system depends on the principle of impedance and measures the impedance between the probes which instilled the soil in the area that expected the water existence. And it compares the measurement values with the basic values and analyses the data and shows it directly to high quality screen. Underground water depth, density and the percentage of water. High accuracy in giving data. This product made to be a specialist to detect water under the ground Provided with high technology to work on all different terrains, different effects to ensure that the reference reach to the target strongly and truly. It works with all weather conditions and ground, at all levels of temperature and humidity, endure temperatures and humidity of 75% Maximum. It discovers the water up to depth of 850 meters under the ground with ability to define the depth in meter and centimeter. Covers 1,500 square meters detection area. Provided by four electrical probes. 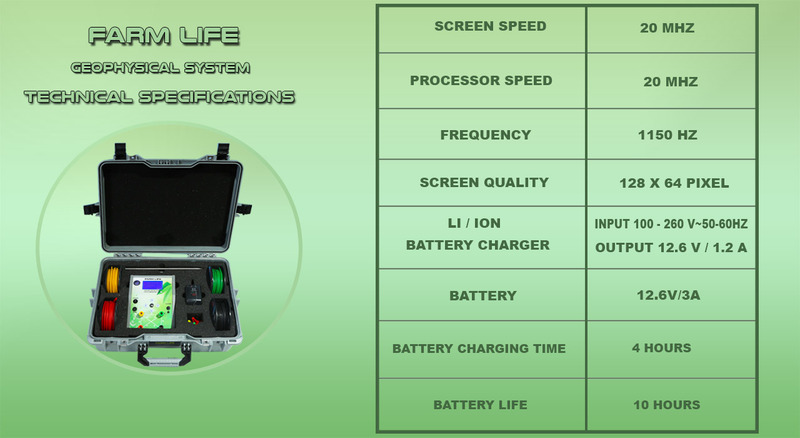 The device works on 12-volts battery enables it to work for 4 hours continuously. All components of the device put in strong bag anti-shocks. A bag made of aluminium with a special sponge. The bag size: 45 cm - width 33 cm - 15 cm height. The best of modern German industries. 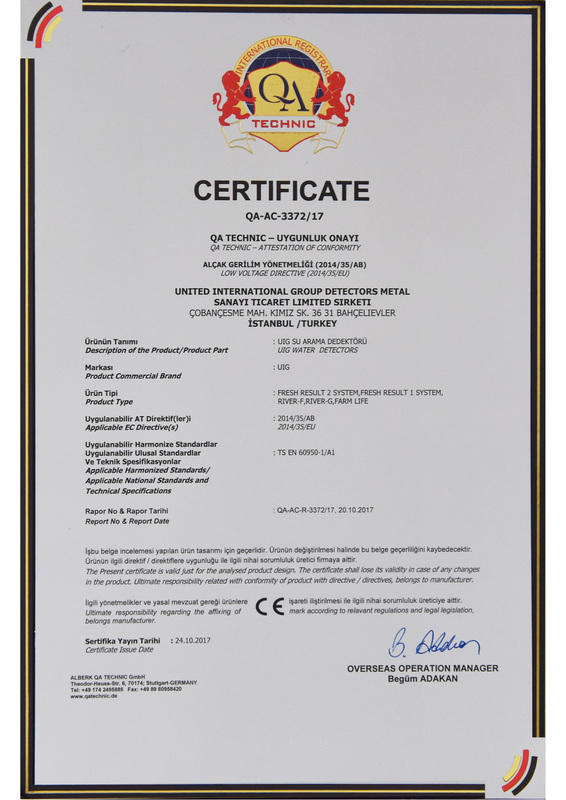 A certificate of origin and guarantee for two years from the date of purchase. 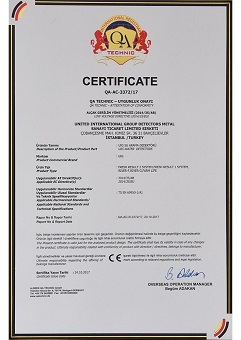 FARM LIFE Device is one of the best German innovations with European cϵ certification according to international specifications.